In celebration of its 4th birthday in the Philippines this July, Baskin-Robbins has come up with a way for more people to enjoy its well-loved Classic, Seasonal, and BRight Choices flavors. To mark the milestone, Baskin-Robbins is offering its Junior scoop ice cream in a cup for only P31. 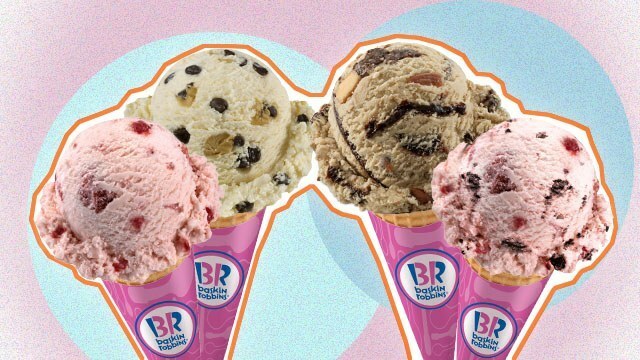 Baskin-Robbins offers 31 well-loved flavors, and here are a few of that you can try. One of them might just be your favorite. Enjoy a strawberry overdose as you indulge in rich strawberry ice cream with real strawberries. Truly a classic. You’ll find comfort in the familiarity of vanilla-flavored ice cream with chunks of chocolate chip cookie dough and chocolate-flavored chips. Get perky with Baskin-Robbins’ Jamoca™ coffee ice cream, sprinkled with roasted almonds and a rich chocolate fudge ribbon. Here’s something slightly different from your usual frozen dessert: strawberry-flavored frozen yogurt wrapped in a triple berry ribbon and loaded with chocolate cookie chunks. This dessert sports the Baskin-Robbins magic number. Imagine white chocolate and raspberry-flavored ice cream with its raspberry ribbon, chocolate flavored chips, and raspberry-filled hearts. From June 12 to August 12, you may also avail of Baskin-Robbins' Happy 4 You deal, which allows you to enjoy four different flavors in one cup. Baskin-Robbins will also offer a 31% discount on ALL Fresh Packs on July 31. For more information, check out the Baskin-Robbins Philippines website, as well as its official Facebook, Instagram, and Twitter accounts. This article was created by Summit Storylabs in partnership with Baskin-Robbins.